Have you seen what a “green” public restroom is like? No, I’m not talking about the colour, but how sustainable and environmental friendly a restroom can be. The above photo is an example. 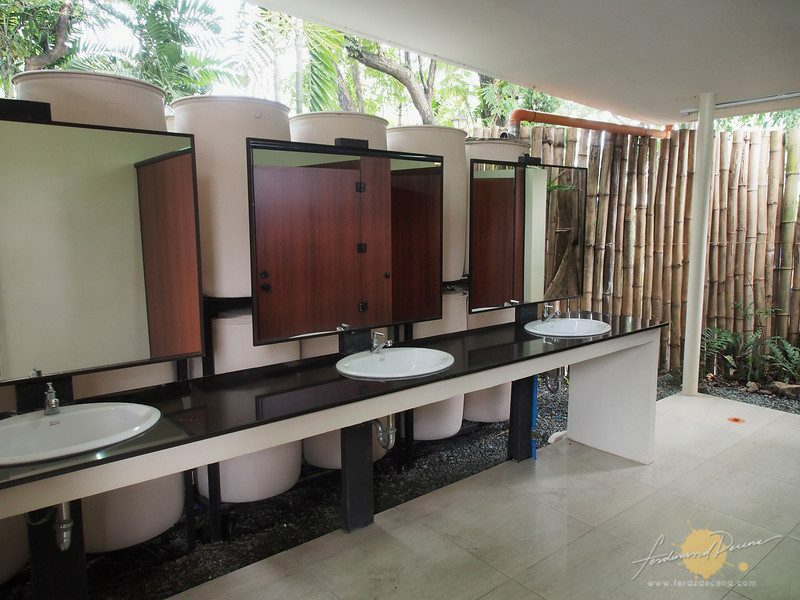 It may look like a typical restroom, but behind the mirrors you could see the white tanks which is part of the “Innovative Rainwater Harvesting System” invented by Adamson University Engineering Dean Antonio F Mateo. The multiple tanks harvest rainwater and are purified for use. 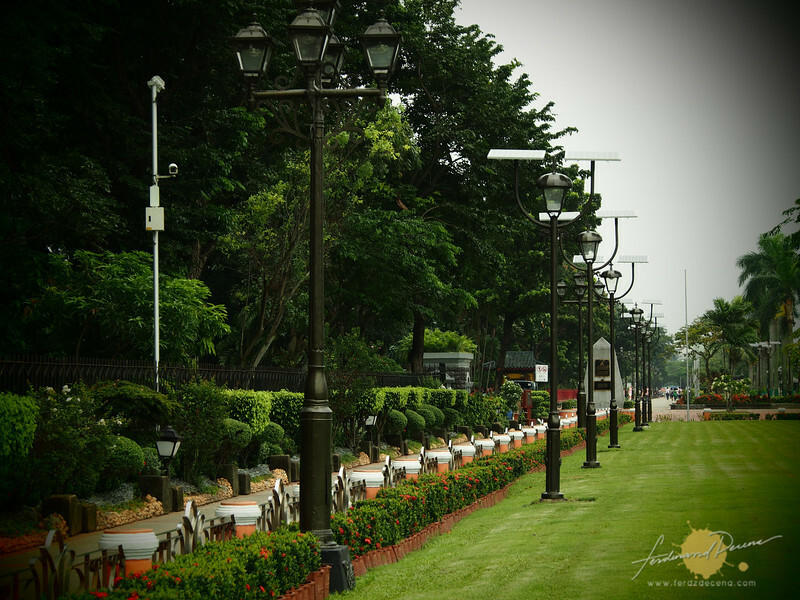 If you are curious to try this, head over to Manila and witness the iconic Rizal Park Go Green. 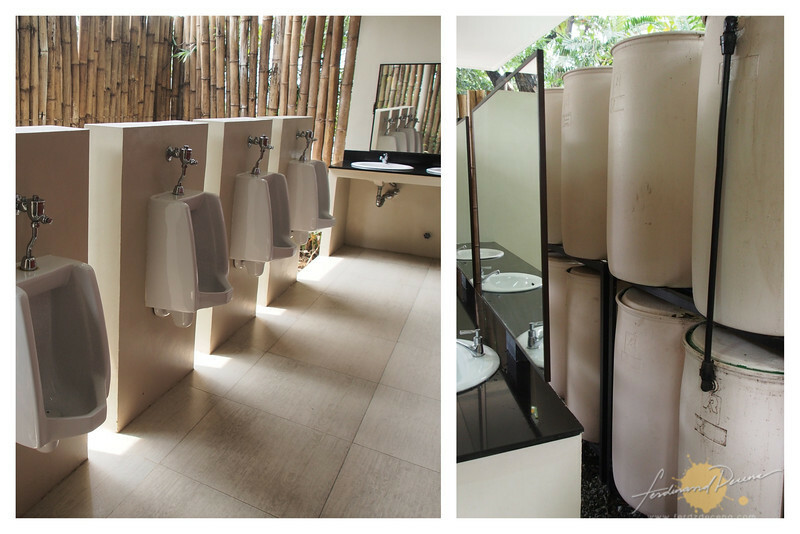 In line with United Nations World Tourism Day (UNWTD), Department of Tourism (DOT) joined with the rest of the world to celebrate the global theme of “Tourism and Sustainable Energy: Powering Sustainable Development” The Green Restroom is just one of the Rizal Park Goes Green projects. Right now there are about 100 solar-powered lamps standing in the park. About 1000 old halide bulbs were replaced with LED light bulbs saving up to 12% power consumption. The park also have solar panels installed which can be utilised to power park electricity up to 6-hours per day. National Park Development Committee (NDPC) is targeting to have the whole Rizal Park fully powered by sustainable energy in two years. DOT also introduced their Rizal Park Tour Module on Sustainable Energy which we participated. The tour takes visitors around the park to show and explain the parks green initiatives. It’s a pretty informative tour spanning about an hour within the park. I’m sure this would be interesting for students and those researching about sustainable energy.